Bell is one of those companies that feels like it has been around forever. Go almost anywhere that requires people to wear helmets and you will likely see at least one bell helmet. 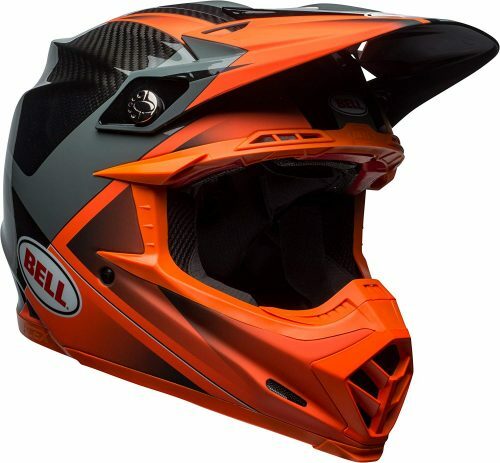 Whether you are at a skate park, a motocross track, watching a car race, or witnessing some BMX, there is probably a bell helmet not too far away. Since Bell’s founding in 1954, they have strived to make the best helmets possible. Their new Moto 9 Carbon Flex is certainly no exception. 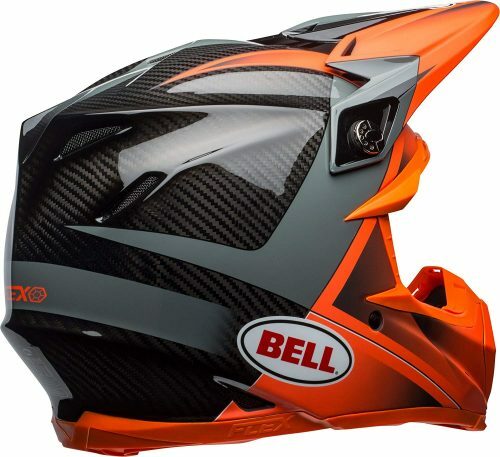 The Bell Moto 9 Carbon Flex is Bell’s entry to the new era of motocross helmet safety. Helmets are getting more and more advanced. To keep up with the competition, companies such as Bell are working harder than ever to create the safest and most comfortable helmets possible. The Moto 9 Carbon Flex is here, and it will not let you down! Motocross carries its fair share of risk. That is why helmet technologies are being pushed to new limits. Well the Bell Moto 9 Carbon Flex is ready to protect. It is full of new features that will protect your most valuable organ in all types of crashes. Sure you can get a cheaper option, but after learning about what this bell helmet can do, I’m sure you will see a good helmet is always worth the price! 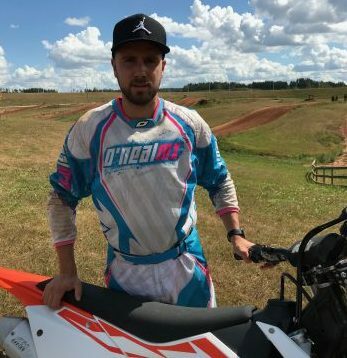 One of the most challenging aspects of creating protective equipment for motocross riders is the fact that you cannot predict how a crash will happen. Some will be at high speeds, where others may be a simple slow tip over in a corner. The problem is that all instances require a different type of protection. Here is Bell’s answer. The Moto 9 Flex has been designed with a 3 impact liner system. This is essentially three different materials and densities. Each one is designed to protect the head from a different impact speed. When combined, the layers work to protect the riders head in almost any motocross crash situation. Let’s take a look at the layers! The outer layer is made of EPS (expanded polystyrene). This is designed for fast impact speeds (around 7.75 meters per second). Naturally this is the hardest feeling foam to the touch. The middle layer is for low speed impacts such as tip overs, and is made up of expanded polyolefin. Finally, there is the inside layer which you guessed it, is for mid-speed impacts. This layer is made of EPP (expanded polypropylene) foam. Together these 3 layers work together to absorb as much energy as possible during a crash. If you want to see how these layers work, look up some videos of Bell’s helmet testing. It is reassuring to see what these helmets are put through before going on our heads. Working right alongside the 3 layer impact liner is Bell’s Rotational Energy Management system. This is designed to have a similar affect to 6D’s ODS system, however, it is not to the same extent. Bell’s system allows the inner liner to rotate relative to the middle and outer layers. This has been implemented as a way to counter rotational forces that occur in a crash situation. Instead of treating motocross impacts as a straight on occurrence, companies such as Bell are really working hard to build helmets that will protect in real world situations as well as they do in the lab. An emergency release system is important in any helmet. It allows first responders to take the helmet off of the rider without any jarring. This keeps any further damage from being caused to the rider. In this case, the Mangefusion system allows the cheek pads to be easily removed so that the rest of the helmet can slide right off. Being able to easily remove the pads is also great for washing! Ventilation and fit go hand in hand when it comes to the Bell Moto 9 Flex. This is thanks to what Bell likes to refer to as adaptive fit. Where traditionally helmets are designed for one solid, symmetrical head shape, the Bell Moto 9 Flex adapts to fit more comfortably. This is due to a segmented inner liner. Having the inner liner segmented not only allows for different head proportions, but also helps to absorb more energy, allows for more airflow, and saves weight. Talk about a win, win situation! On top of the segmented liner, there is also the trademarked velocity flow ventilation system included in the Bell helmet. This consists of multiple vents and airways that allow for cool air to flow through the helmet, which works to replace the hot sweaty air that surrounds your head while riding. As far as weight goes, Bell is right on par with the other top dogs. Mostly thanks to their carbon shell. The weight of the Moto 9 Carbon Flex comes in at 1450 grams. As a comparison this is 30 grams lighter than the 6D ATR2! Nothing to complain about here! One thing I love about Bell helmet, is that you always know when you are looking at a Bell. Even at first glance, you can usually tell Bell’s styling from the rest. The Moto 9 Flex dirt bike helmet is no exception to this. It is a sharp looking helmet with race inspired graphics. The helmet just looks fast. There are 13 different colorways to choose from so every rider should find something that they like. 3 of these options are designed to match Seven gear which is James Stewart’s gear company. Do you ride a Timbersled, or a snowmobile during the winter? Well thanks to Bell helmet, you no longer need to wear a liner underneath of your helmet. There is the option to purchase a snow kit for your helmet! The kit comes with an insulated top liner, as well as a specially designed breeze box for your mouth piece, and of course a chin curtain to keep that cold air off of you. It seems that the Moto 9 Carbon Flex is ready for all seasons! There are always brands out there that you just seem to enjoy. For me, Bell is one of those brands. I have owned many different Bell helmets in the past and none have ever let me down. Of course, seeing the new Moto 9 Flex Bell helmet excites me even more than my past helmets have. This is a purpose built helmet that riders can put their trust in. The protection offered rivals any other brand, and that is what really matters at the end of the day.